● Printer Inks offers promo codes and discounts which can be applied at checkout. These offers are available for a limited time only so shoppers are encouraged to take advantage of these awesome deals while they last. 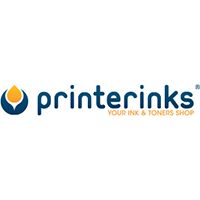 ● Customers can also sign up to PrinterInks’ email list to receive the best deals and promotional offers. The store also helps customers find brand-related ink-coupons through this link. ● Shoppers should also check out the content slider on the main page for any current major offers from the online store. There will usually be an ongoing special sale or offer such as BOGO deals on particular product categories or brands. ● The online store also offers Buy 2, Get 1 Free deals on certain brands of replacement ink cartridges. ● The clearance section offers an extra 35% off select models of leading brands of printer ink and toner. Printerinks makes it easy to shop for the ink you need for your specific printer. You can use this massive printer ink retailer to shop for inkjet cartridges, laser toners, and other essential office supplies. You can even shop for the paper you are going to need. You can use this site to find what you are looking for according to printer brand, printer model, and printer series. Some of the brands you can find through this website includes HP, Epson, Canon, Brother, Lexmark, Dell, Kodak, Samsung, Xerox, and OKI. You can use this website to purchase all of the ink you need in bulk, enjoying substantial savings on what you need. For most up to date offers check out Printerinks on Facebook and Twitter or contact Printerinks Support for any questions.